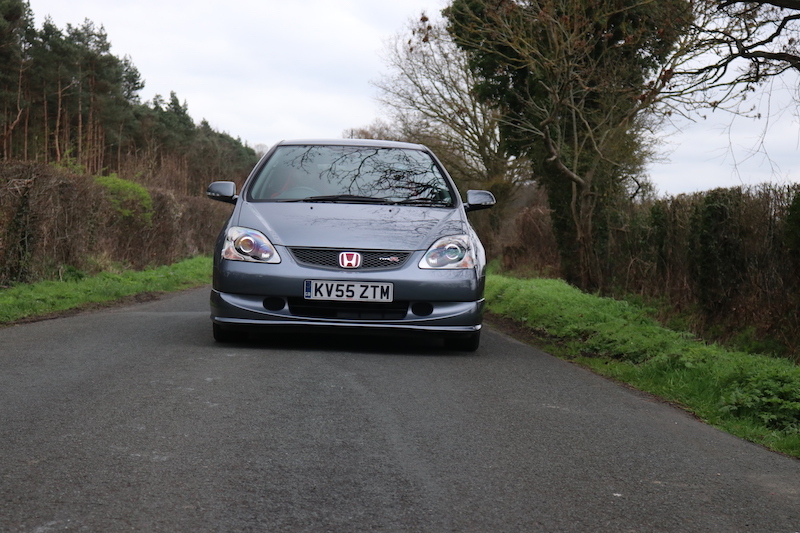 The Honda EP3 Civic Type R is a hot hatch I’ve always wanted to drive, but I’ve never got around to it, until now. Introduced in 2001, it was a car that set the motoring world alight, but what is it about this car, nicknamed the ‘breadvan’, that makes this car so exciting? The EP3 earnt the nickname ‘Breadvan’ due to the shape of its body. Still, I think it’s a good looking car. Well for starters, it’s what lays beneath the bonnet. 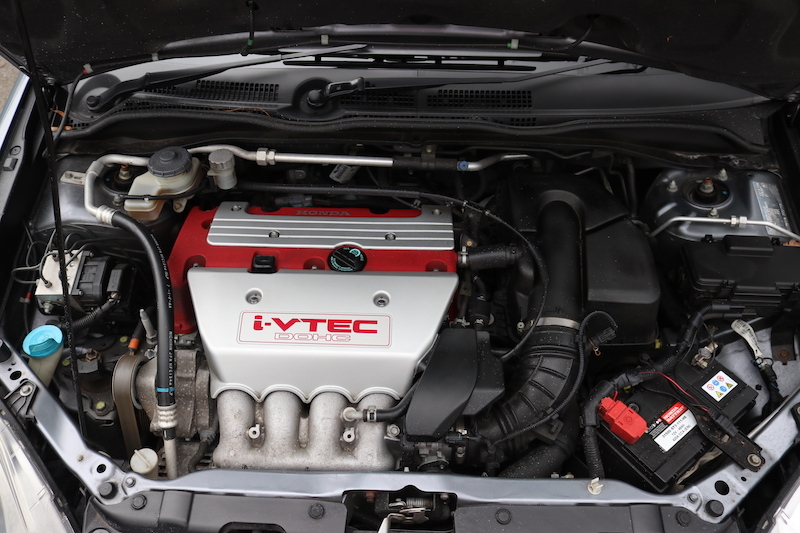 It’s Honda’s famous 2.0 litre four-cylinder VTEC petrol engine. It’s naturally aspirated and has a redline which goes beyond the realms of 8,000 revs, but that’s not the clever part. The engine works of two cam profiles, and when you hit 6,000 or so, all hell breaks loose as the engine switches over the the second cam profile allowing more air to enter the combustion chamber, which means more fuel can added, resulting in more power. Many have dubbed the K20A2 engine as one of the best NA units around, and now I can see why. The engine is only half of the story, though, as the gearbox in which it’s attached to is also pretty special. Look at the gear lever location. It’s mounted high up, on the dashboard, which may look a bit peculiar, but there’s a good reason for it. 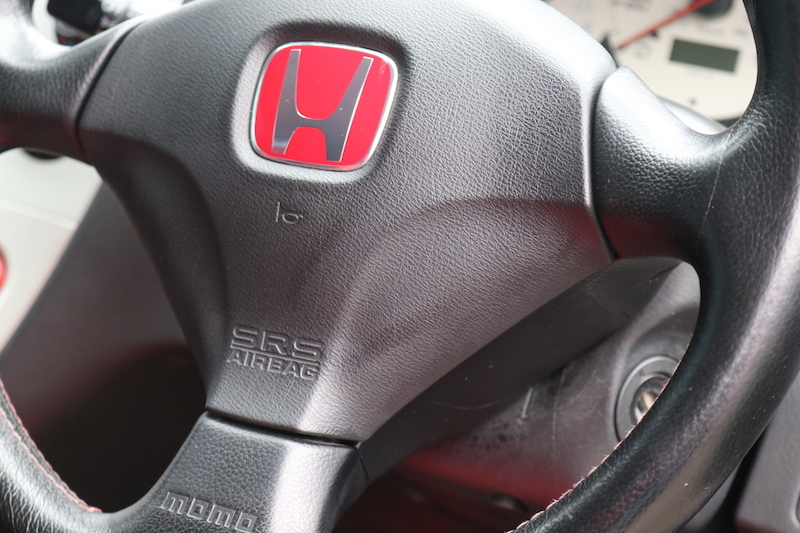 The gear lever is within a swipe of the steering wheel, handy for those quick changes. It’s so you change gear quicker and more efficiently, and although it feels a bit odd at first, you soon get used to it, and it feels like a revelation. It feels like the perfect handshake, and it’s insanely satisfying. 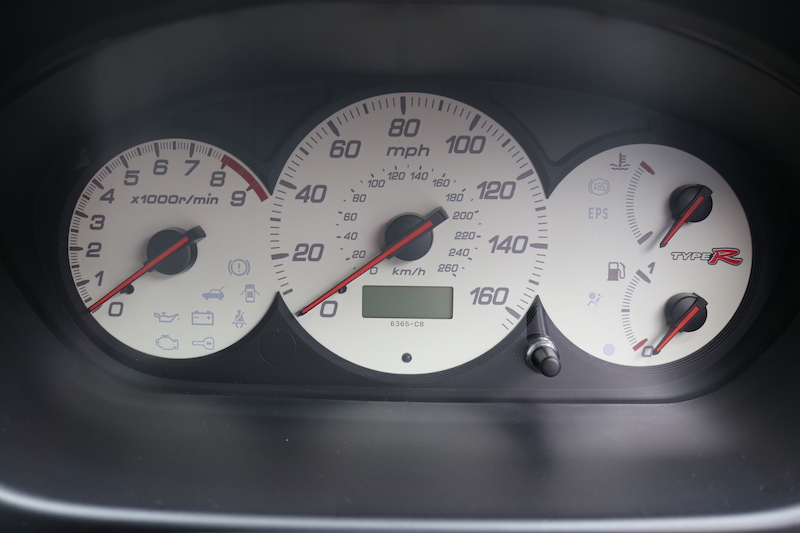 This is just as well, as you’ll need to work it a lot to stay on top of the car’s power, and of course, to stay in that magic VTEC power band. 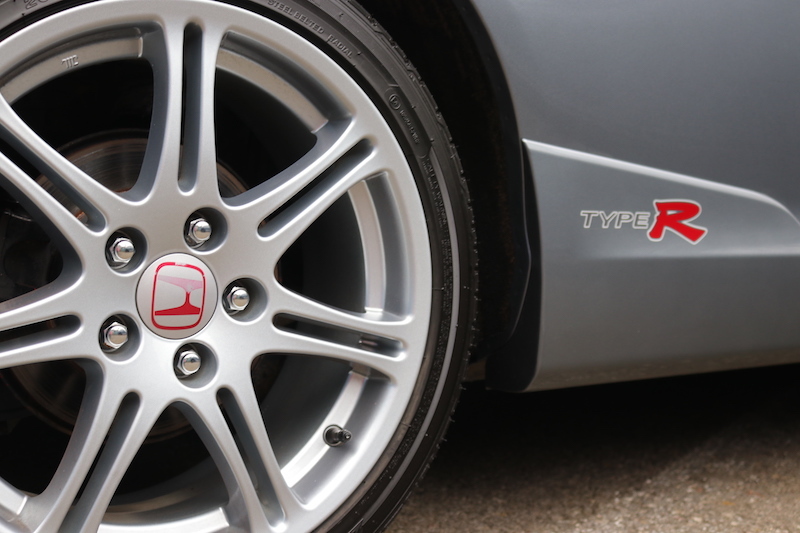 To get the most out of the car you’ll need to change up as late as you can to ensure you don’t fall out VTEC. Speaking of power, it’s about time I give you some stats. That howling VTEC engine is good for 200hp, however it only produces 196Nm of torque, which is just about enough to rip the wrapper of a chocolate bar. Despite, this, this car will hit 62mph in 6.6 seconds, 0.2 seconds faster than the pre-facelift, and the top speed is 146mph, which is still pretty respectable by today’s standards. It’s also a fair bit quicker than the Mk4 Volkswagen Golf GTi, which was sold around the same time. The GTi had become bloated and complacent in its fourth generation, leaving it open for attack by Japan’s finest. 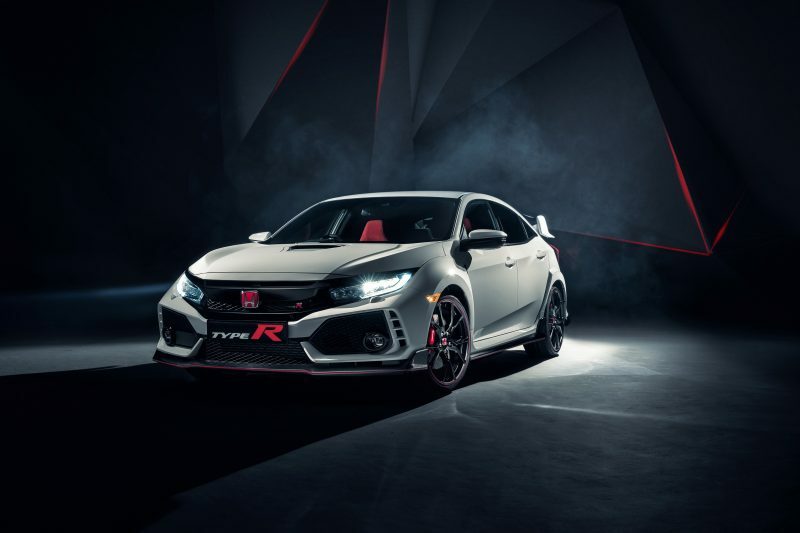 And attack the Type R did; the way in which is drives is far removed from what a Golf can offer. It’s raucous, it’s anti-social, and it is most definitely not refined. 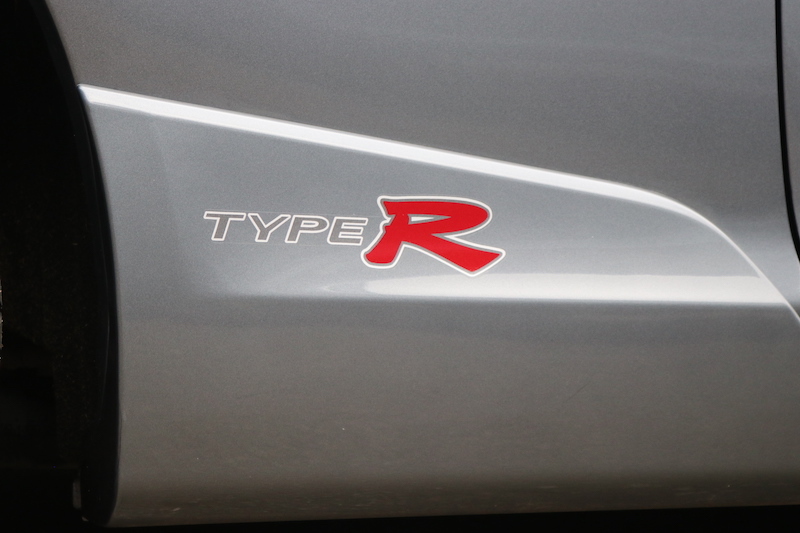 However, that’s not to say that the Civic Type R completely went without creature comforts. It boasted features such as 17″ alloys, front electric windows, reach adjustable steering wheel, and a CD player, with features such as sat nav and air con as optional extras. 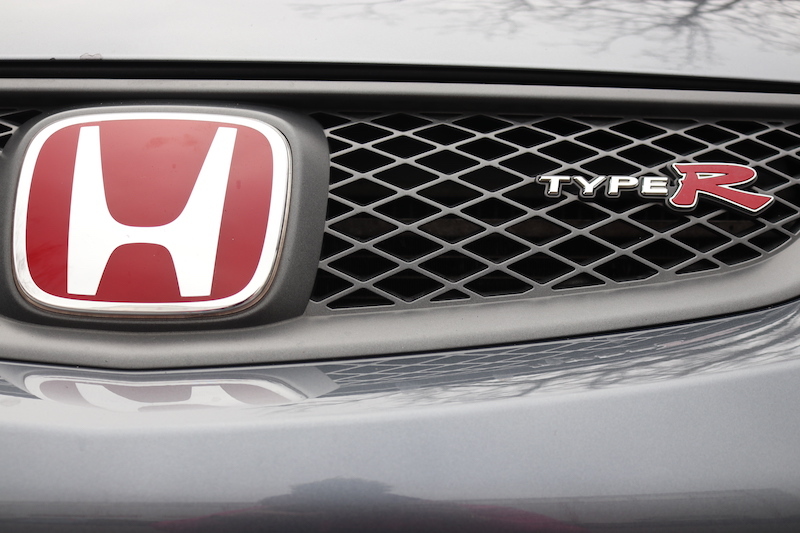 This model however is the Premier Edition, a trim level brought in after the car received a facelift in 2004. 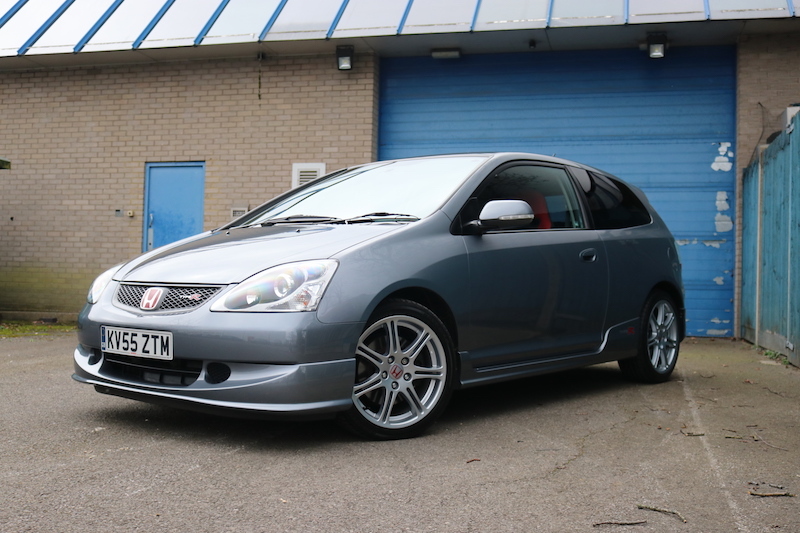 This added a Momo leather steering wheel, Recaro bucket seats, rear privacy glass, red carpet and Type R emblems of the brake calipers. Thankfully, this specific one has air con selected as an option, which is just as well as you can develop a bit of a sweat in the cabin on a most ‘spirited’ blast. Anyway, you don’t want to know about the air con, you want to know how this car drives. 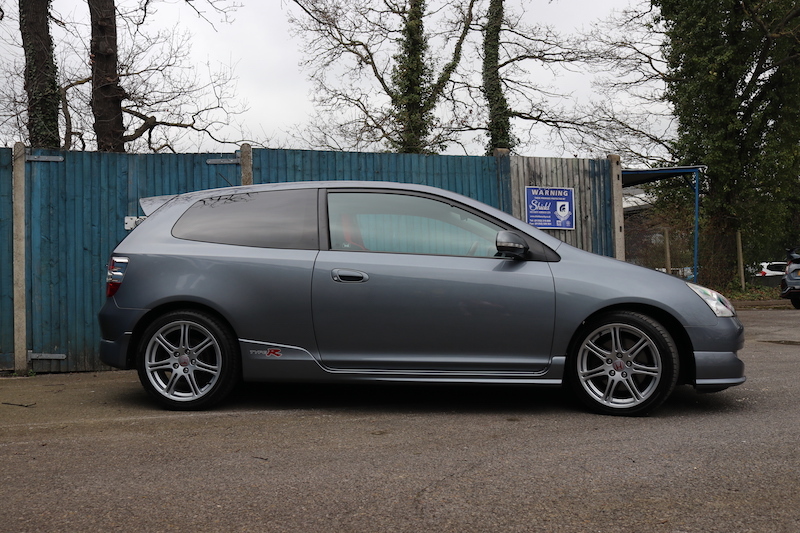 I’ve read so much about the EP3 Civic Type R, and one comment I’ve seen pop up time and time again is how the car feels ‘gutless’ out of VTEC, or how it feels like a standard Civic. Let me tell you, that is cobblers. Yes, the car feels like a different beast before you hit 6,000 revs, but it still feels pretty punchy and the throttle response is fantastic. Another popular comment online is that the steering feels numb and detached somewhat, which unfortunately does ring true. The weighting is ok, though, but it doesn’t chatter away in your hands, which is a little disappointing. However, the car is still a joy to behold in the bends thanks to a lighter kerbweight compared to its rivals, and the adjustability of the chassis. It will grip well when you want it to, but the back can be encouraged to step up thanks to the application of lift-off oversteer. This felt comfortably controllable in the dry, but this car is known to be a handful in wetter conditions. The lack of a limited slip diff plays a large part in this, which is frustrating when you bear in mind the model for the Japanese market did get a LSD, and was made in the same factory as the UK car. In fact, the car was made in the UK, in Swindon, although some Japanese models have imported back in the UK. 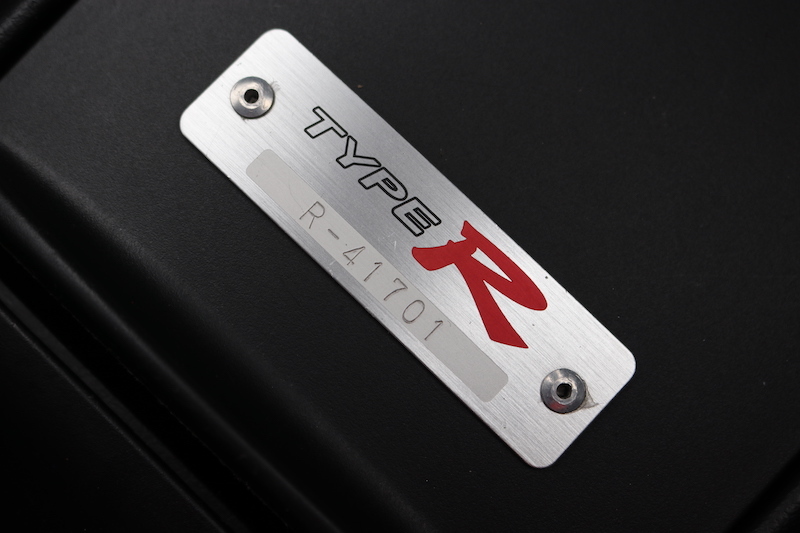 The Japanese model also has a more powerful engine, the same one fitted to the DC5 Integra Type R. Mind you, the UK one is no slouch of course. An area that surprises is ride comfort. I’ve been in a friend’s EP3, and it can be quite crashy at times, although it’s worth pointing out his example is modified. The car driven here is completely stock, and as it would have been out of the factory. The ride, is agreeable though, it’s firm enough to remind you you’re driving a sporty hatchback, but I never found a situation where it was harsh. 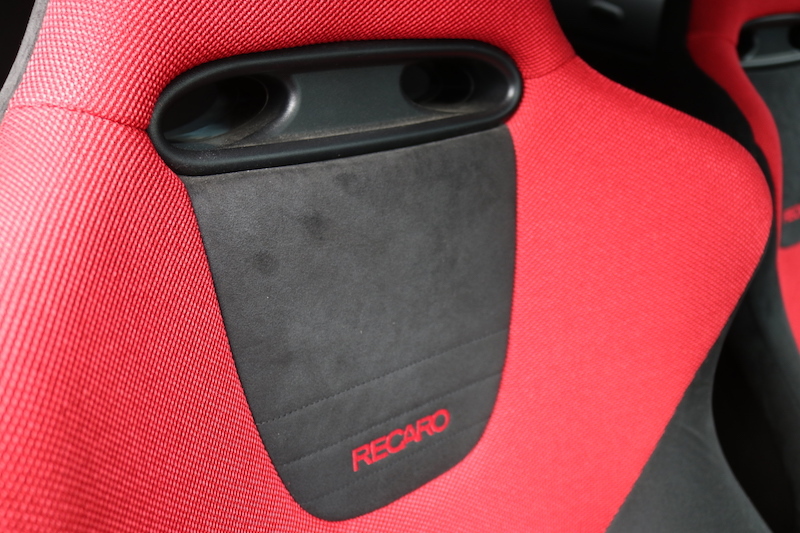 The back can be a bit bouncy at times, though, but in all honesty it kind of adds to the car’s boisterous character. What I will say, though, is that the driver’s seat is perched a bit too high for my liking, and I’d preferred to be sat lower down. Mind you, I did get in to the car are driving the low slung driving FK8 Civic Type R, which wouldn’t have helped my situation. The FK8 is a brand new car, though, and will set you back at least £31,525, which is bound to be out of reach for a fair amount of buyers, especially those of a younger generation. 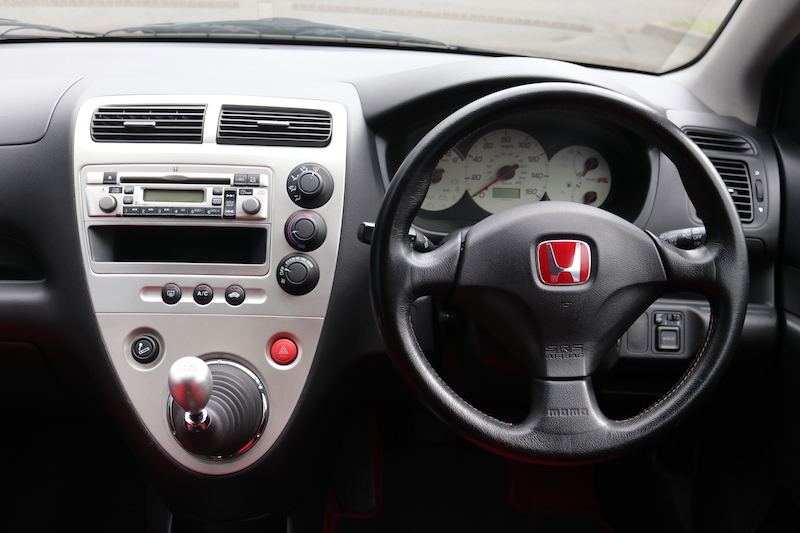 The EP3, however, can be had for as little as £2,000. Ok, that will be for a ragged example, but you should be able to get a relatively tidy one for under £5,000. If you are looking at getting one, make sure the car has full service history, and that the correct amount of oil has been used, as this engine loves the taste of it. 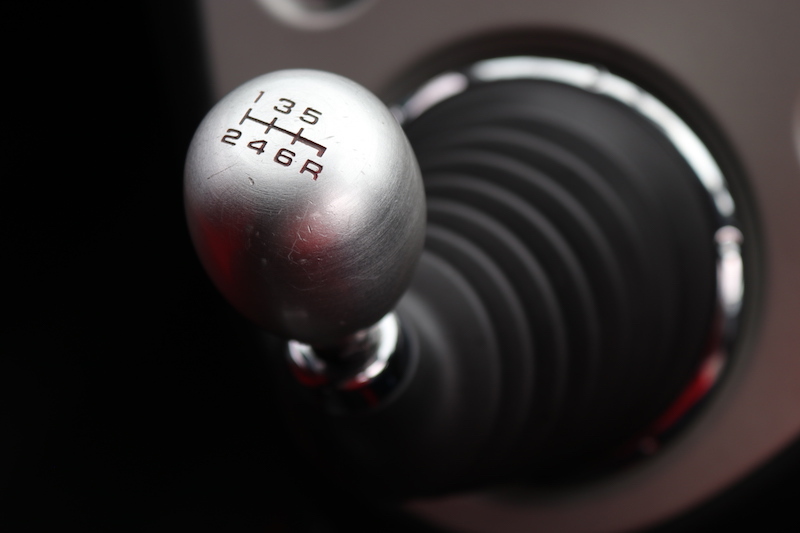 Gearboxes are known to develop a crunch in second gear, so be wary if the seller lets the car warm up first because the car can be driven. Rust can be an issue as well, so again, be sure to give the car a proper once over before you hand over your cash. 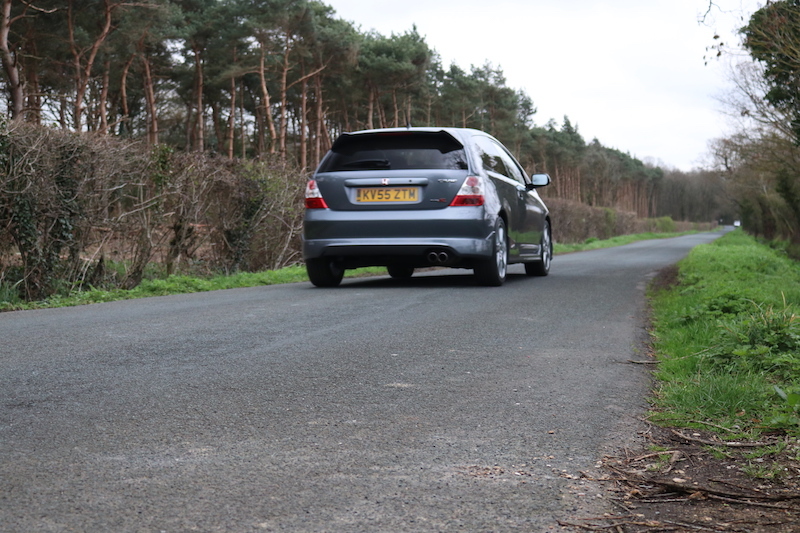 The EP3 is a car I wanted to drive for a long time, bur did it live up to my high expectations? Thankfully, it did. There’s so much about the car that appeals; the engine; the gearbox, the chassis. Yes, the car is not perfect, and the driving sensation won’t be to everybody’s taste, but if you want a strong naturally aspirated hot hatchback, this has to be towards the top of your shopping list.